Would Impala, say, have a future role? U.S. sales of large sedans have dropped. 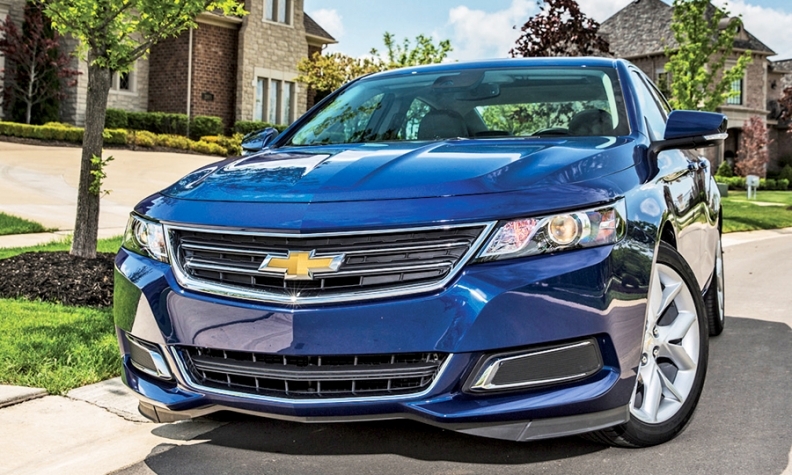 “The Impala has a role today,” GM CEO Mary Barra said, but GM will be asking about its role in the future. DETROIT -- Even after shedding half its brands in the financial downturn, General Motors still has the industry's broadest U.S. vehicle lineup, from heavy-duty pickups and the Cadillac Escalade to the Chevrolet Spark and Volt plug-in hybrid. But just as GM is getting choosier about which countries it competes in -- pulling out of Russia, for example -- it also plans closer scrutiny of the vehicle segments on which it places its bets, CEO Mary Barra says. "We have a broad portfolio. But how are we going to look at what are the right vehicles to put in the marketplace?" Barra told Automotive News this month. "We'll look at what makes sense and what will generate a return." Confronted with capital needs that range from the development of autonomous vehicles to shareholders' growing expectations for cash returns, GM's executive team increasingly is being forced to pick its battles, rather than sell cars in all segments across all markets. "We don't need to be all things to all people in all places all the time," GM President Dan Ammann told Automotive News this past spring, explaining the company's rationale for largely exiting markets that it has long competed in, such as Indonesia and Thailand. In a presentation to analysts this month, Ammann made clear that the philosophy extends to product decisions as well as regional footprints. "If there's no long-term path to be profitable in a particular segment, we will look at that," he said. Barra said GM already has exited some segments in South America, but she didn't cite any pending discontinuations in the U.S. She sidestepped a question about whether the newfound discipline could someday make a casualty of the Chevy Impala, the handsome and highly praised sedan that competes in the dwindling large-sedan market. "That's a hard one because the Impala is such a great vehicle," Barra said. "But we can't look at where the market's been. We've got to look at where the market's going." U.S. sales of large sedans dropped 16 percent through September this year, after an 8.2 percent decline for all of 2014. Some analysts predict that Ford could end U.S. sales of the Taurus large sedan or import the car in small numbers from China. "The Impala has a role today," Barra said. "But we're going to be looking over the future and asking 'What is its role in the future?' and making that decision." Richard Johnson contributed to this report.